Parenthood is believed to be one of the biggest joys in the world, and every new parent wants nothing more than a healthy baby. Baby Rajesh’s parents too were ecstatic when he was born, but their joy was short-lived when they found that Rajesh weighed less than a kilogram at birth. Chances of survival with such low birth weight was close to impossible. Baby Rajesh’s parents were overjoyed when Dr.Jagadishwar saved their baby miraculously. But it was not the end of the road for baby Rajesh. Two years later, he was diagnosed with cerebral palsy, presumably due to multiple apnoeic episodes in the time he spent in the hospital fighting for survival. If only Dr.Jagdishwar had some way to tell him the distress baby Rajesh’s fragile body was undergoing, timely medical intervention could have been done. Now, baby Rajesh has to spend his life as a cerebral palsy patient. This incident jolted Manoj Sanker and PratyushaPareddy, bio design fellows at the Centre for Healthcare Entrepreneurship at IIT Hyderabad, to think how they could provide a solution to doctors like Jagdishwar to monitor patients at critical junctures and ensure they receive timely help. Sanker and Pareddy eventually started Nemocare Wellness in July 2017 to build monitoring tools that would eliminate the chances of neonatal and maternal deaths. They use unobtrusive wireless wearable sensors and networks, analytical algorithms and big data as tools to provide continuous, high resolution monitoring and preventive care for every patient in hospital, and at home. The use of design thinking principles to build life-saving technologies will transform the way healthcare is delivered, believe the founders. Globally, three million babies die in their first month of life every year, and 98% of these deaths occur in the developing world. In India, approximately 3.6 million premature babies are born every year and out of them, 40000 babies die. 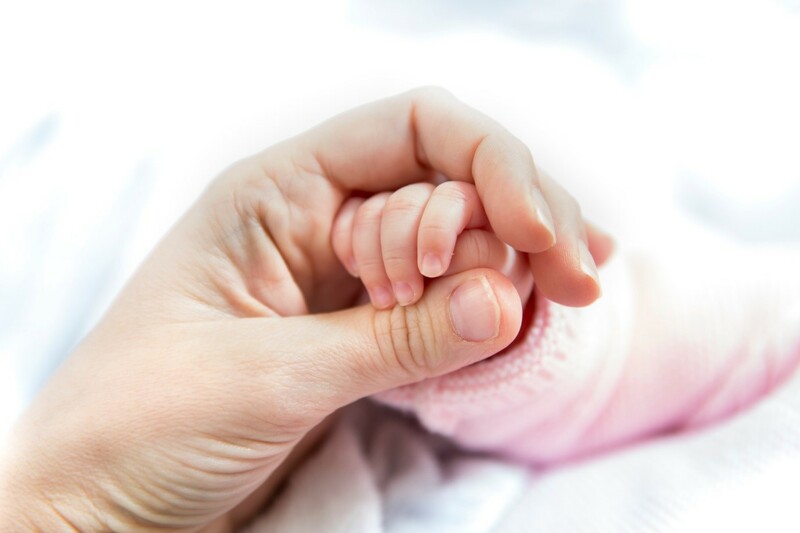 Premature babies are susceptible to a variety of life threatening conditions such as apnea, hypothermia and respiratory distress – causing either death or some form of morbidity. Almost all of these deaths are preventable with timely treatment. However, hospitals in the developing world are severely challenged by limited resources.They cannot afford the expensive equipment, which are usually bulky and unsuitable for continuous monitoring. Moreover, they have a high rate of false alarms; forcing nurses to visually monitor the babies. In low resource settings, where one nurse cares for about 40 babies,she will not be able to give equal attention to every baby. Most distress conditions often go unnoticed, causing irreversible injury to the newborn and sometimes even lead to death. If a child has to be monitored continuously, they have to be isolated and hooked to wires – which hinders breastfeeding and kangaroo mother care – which in turn hinders growth and recovery. The entire system along with Nemocare’s proprietary deep learning algorithm works as an intelligent platform that will track the baby’s health in the most accurate way possible and give only insightful notifications and alerts to healthcare workers to enable timely intervention when a distress condition is detected.This platform collects, stores, visualizes and analyses the data generated, enabling a paradigm shift in clinical diagnostics and preventive care through a data-driven approach. Inherently, the data may be used in real time to provide early warning scores or other predictive indicators, and used offline to develop new predictive algorithms. Currently, the company is doing closed pilots for evidence creation and regulatory clearances with two public hospitals and two private hospitals.Nemocare plans to monitor and save nearly 900,000 babies through their 21,000 deployed devices over the next five years. With Digital Propulsion of Universal Healthcare as the theme of the upcoming Lifesciences & Healthcare Innovation Forum (LHIF), here’s your chance to witness the success of innovations such as Nemocare. A mundane task like vegetable purchase involves scanning through piles of produce, and visually assessing its freshness and quality. How about replacing this abstract assessment with real-time data-driven analytics? Gurgaon-based AI startupIntello Labs is bringing to the fruits & vegetable seller the true power of Artificial Intelligence by pioneering the concept of digital commodity grading using data. Despite the massive strides India has taken in technology in the last two decades, it is conventionally been an agrarian society. Nearly 60% of India’s 1.2 billion depends on agriculture as a primary source of livelihood. Yet, the level of technological prowess in the sector has not matched the industry’s size. While largescale food processing is being executed with high-grade machines, grassroot level issues exist within the ecosystem, which have been overlooked for decades. One of the foremost challenges is assessing the quality of produce in fields and at local mandis. This is done manually most of the time and is subject to human bias. Often, it’s the farmer who suffers from this lack of standardization as he seldom gets the fair price for his labour. “While the government has increased MSPs from time to time, there is no scientific way to measure the quality-price premium of a commodity,” says Chandani. Intello Labs uses advanced image recognition technology and AI to analyse this data to provide actionable insights. Using the Intello Labs app, a user can take a picture of a commodity and upload it on the cloud. The AI algorithms grade the sample and send the results to the app. Intello Labs works with retailers, and is already present in three other countries. Currently, the company is also working on some pilot projects with governments. 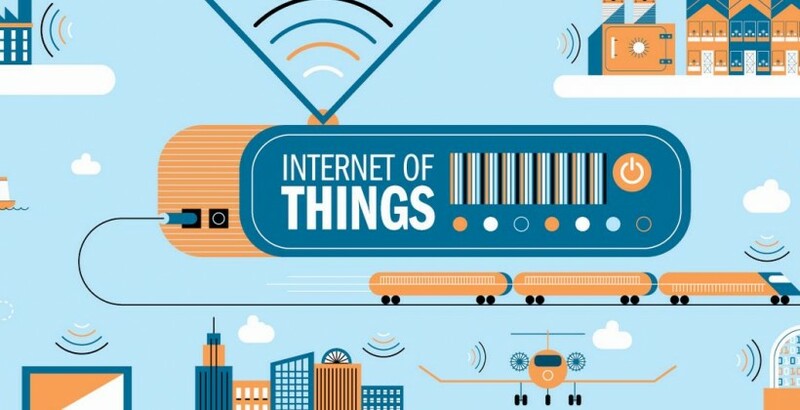 IoT is one of the hottest buzzwords in technology today. Yet, how many us really know how the magic happens between devices? It takes a seamless WiFi connection to make this happen – but this isn’t alwayssimple. Traditionally, all devices – be it laptops, tablets, mobile phones – are connected to a central node, which is usually a WiFi access point or cellular base station. For instance, if you want to send an email to your co-workers, the message travels through a network of central nodes and finally reaches the email server. If one of your co-workers isn’t connected to a central node (or simply doesn’t have Internet access), he isn’t going to be receive that message. So what happens when one is struck by a natural calamity? Usually, one of the first consequences is all communication networks fail, leaving thousands in peril. In comes a handy solution called a mesh network – a collection of network nodes that act independently as a switch to relay information. Instead of relying solely on a central hub, an existing mesh network will act as a backup, effortlessly continuing the communication pathways regardless of a fallback in Internet connectivity. If a link fails due to poor signal or some other obstruction, a mesh network will send the message through an alternate channel to the receiver. This kind of technology is path-breaking and is currently being created out of the NASSCOM Center of Excellence by a startup called Wisense, an acronym for Wireless Sensor Network Solutions. Founded by Ramachandran Anantha Krishnan in 2015, Wisense is one of the few startups in India that is developing wireless mesh networks. As fascinating as mesh networks sound – it begs the question as to why it is relevant to the IoT industry. Let’s take a step back to look at India’s Internet story so far. With nearly 500 million users, India’s Internet market is second largest in the world after China. According to Statista, there will be 635.8mn Internet users in India by 2021. Yet, less than 30% of the population accessed the Internet in 2016, only 26% in 2015 and 21% in 2014. The numbers drop as you go back in time. Despite a massive user base, the levels of Internet penetration in India is limited. And the fall in numbers can be seen in remote areas of the country more than the larger cities, where users are spoilt for choice in terms of Internet Service Providers. On the other hand, the IoT market in India is rapidly growing. NASSCOM data states that the IoT market in 2016 was $1.3bn with 60mn installed units, and can reach $9bn by 2020 with 1.9bn installed units. Despite making a delayed entry to the IoT market, India has fast risen as an IoT hub due to the sheer numbers of connected devices. But let’s not forget that Internet penetration still remains a challenge in several parts of India, and this is where a mesh network can greatly help. Wisense is manufacturing low-power, wireless sensor nodes that operate on 865-867 MHz band, which is known to be a cost-effective and reliable enabler of IoT. More than 70 sensors have been interfaced to Wisense nodes. Compared to the more popular 2.4GHz ISM band, the 865-867 MHz band is free of congestion, has a longer range and higher levels of penetration. 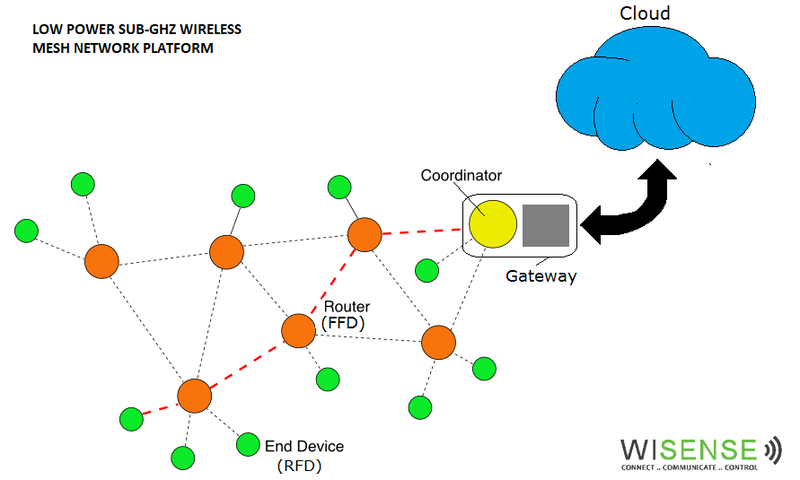 Wireless sensor nodes and gateways with multiple backhaul options such as WiFi and GSM/GPRS. 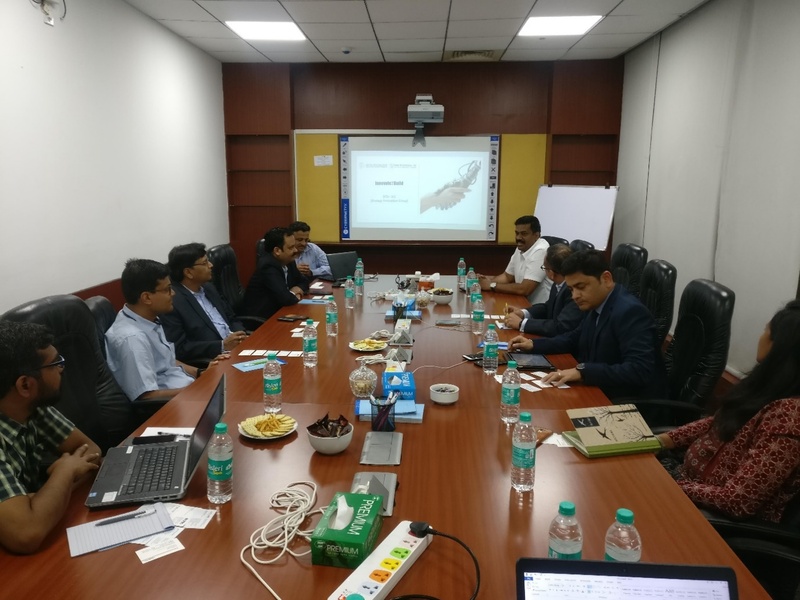 Wisenseproducts are already being used by Hindustan Unilever for asset tracking and for a pilot World Bank project that’s using IoT to increase the efficiency of irrigation for paddy and wheat crops in West Bengal. In addition, their nodes are also being used for a weather monitoring system being developed by IIT Mandi in Himachal Pradesh. Local mesh networks are immensely useful to continue communication even without the presence of the Internet, and automatically becomes a very useful tool in natural disaster management, accidents and in remote areas. One of the most popular examples of wireless mesh networking is Firechat – a proprietary mobile app developed by Open Garden that uses wireless mesh networking to help smartphones connect via a peer-to-peer system. With more than a million installations, Firechat has becomes one of the highest ranked social networking apps. During a shake drill in Manila, Philippines with a density of 700 users per sq km, nearly 80% of users received messages through Firechat while less than 35% received messages from nearby cellphone towers and servers. In India, Firechat was able to bail victims out of disaster zones like Kashmir and Chennai, which were ravaged by floods. Mesh networks could very well be the answer to powering India’s next billion Internet users, without the Internet and Wisense is potentially at the precipice of a massive opportunity to revolutionize the Internet. Did you know that during the first year of a baby’s life, parents sleep an average of just six hours a night? Imagine juggling a job, your home and a baby with less than six hours of sleep everyday. Sounds like a nightmare, doesn’t it? In today’s fast-paced world, taking care of a child has become highly demanding and one of the biggest challenges new parents initially is ensuring the baby has a proper sleep cycle. The rise of nuclear families in India, long working hours and inflexible maternity & paternity leave policies at the workplace has left young parents stressed out and sleepless. This was the reality for Radhika and Bharat Patil, who experienced firsthand the challenges of caring for a newborn when they had their first baby.This led them to develop a one-of-a-kind smart cradle, which has sensors designed to detect even the slightest movements of a baby and instinctively rocks the child back to sleep. How does the cradle detect movement and react responsively? Through the magic of cutting-edge technologies including AI and IoT. A combination of hardware, software and deep tech makes the Smart Cradle an all-in-one device that can provide responsive soothing to a baby, detect loud sounds outside the cradle, constantly monitor the sleeping child and send updates to the parents through an app. The founders have managed to capture multiple innovations within one cradle, making it a comprehensive solution for newborns and parents. Some of the features include Responsive soothing, where smart sensors look for early wake-up signals in the baby, following which the cradle automatically rocks the baby back to sleep along with soothing music. Moreover, the cradle decodes the baby’s sleep patterns and creates personalized sleep recipes for the child. External loud sound detectionsensors allow for effortless detection of sudden, loud external sounds that could disturb a child, and the cradle begins to rock the child immediately. New parents often worry if their newborn is sleeping right – specifically to ensure if their baby is breathing properly while sleeping or if there is any kind of physical discomfort in a crib or cradle. Cradlewise also provides a Contactless Baby Monitor, which detects unsafe sleep postures, and obstruction to breathing among others. While there are several cradles in the market, most of them make a lot of noise while being rocked. Cradlewise uses a patented technology to ensure the swinging of the cradle is noiseless. Moreover, the rocking mechanism is rather gentle and also doesn’t use much power. Keeping in line with the tech-savvy generation of parents, Cradlewise has an app that provides constant updates on the baby to the parents. Currently, the app is designed for Android devices. While the technology used on the product is cutting-edge and is intended to make life easy for the parents, there are other features that make it an equally amenable option for babies too. 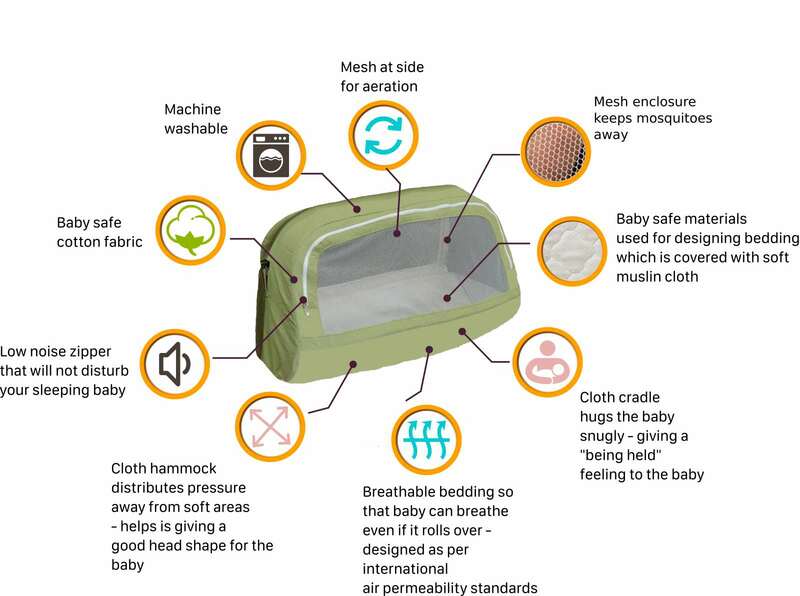 One of the most unique features is a hammock-based cradle that keeps the baby snug, distributes the weight of the child evenly (avoiding any pressure on the head) and even comes with a soft net keeping insects at bay, and allowing the babies to breathe easily. Growing children and of course, adults, are accustomed to silent environments to sleep better but its this very silence that’s highly unnerving for babies. While in the womb, babies are accustomed to “whooshing” sounds that are rhythmic and soothing. It takes some months for a newborn to grow out of these sounds. Cradlewise mimics these womb sounds, also called White Noise, allowing a baby to sleep well. Additionally, the app comes with some generic soothing musical options to facilitate better sleep. Twinkly night lights, synced to the beats of the music, present on the roof of the cradle help keep a baby distracted while in the cradle too. Cradlewise has been part of NASSCOM Center of Excellence since April 2017. India’s manufacturing capabilities are growing from strength to strength every year. In recent times, the impressive growth of the manufacturing sector can be credited to the application of technology like IoT. Combining advanced manufacturing processes and technology offerings had led to the promise of a truly revolutionary era in industrialization – Industry 4.0. Companies are investing in technology that make operations smarter, intuitive and responsive. This is the power of the Internet of Things (IoT), which is eliminating challenges pertaining to manufacturing inefficiencies, and changing the relationship dynamic between man and machine. One of the most influential trends that will shape the course of Industry 4.0 is the Industrial Internet of Things (IIoT)1. More devices will be enriched with embedded computing, allowing them to interact and communicate with each other better. Already, organizations are seeing the impact of IoT on their businesses. According to Forbes Insights2, 45% of executives report that IoT has boosted profits by 5% while 41% claim that the impact of IoT has enhanced revenues by 15% annually. The extensive usage of wireless communications, Internet, innovative solutions, predictive maintenance has allowed Manufacturing Execution Systems to further the cause of digital transformation of the industry. One of the most significant influences seen in recent times is of IoT’s role in enhancing worker safety in the industrial sector. It can get tedious to monitor the safety and working conditions of thousands of workers in a factory or a manufacturing unit, but one misstep can lead to losses amounting to millions. This is where IoT comes in. A cognitive wearable technology can help improve employee’ safety in dangerous environments – such as during operation of massive machinery, exposures to extreme heat or toxic gases, open flames, open risky spots etc. The sensors can monitor the location of the worker, the working style in terms of bending, lifting, handling of equipment and much more by gathering and analysing data collected from sensors embedded in helmets and wrist bands etc. Such a technology can provide real-time alerts to employees and their managers, enabling preventive measures if physical well-being is compromised or safety procedures have not been accounted for. Analysis of data collected from various sensors that constantly monitor the worker’s location, body temperature, heart rate, galvanic skin response and level of activity can help provide a feed back to supervisor for intervention when required. This can help increase awareness of stress, exertion, warning of accident prone areas, injuries. A solid foundation therefore can be built for increasing worker safety by creating a feedback loop monitoring the environment around the worker at the workplace. With edge computing, data storage can be controlled and cognitive IoT would help analyse the data from employees, equipment and the facilities for allowing managers to identify potential risks and trouble spots, prevent risky behaviour of employees and avert accidents and injuries. This in turn would create a tremendous impact on the total cost for workers’ compensation and insurance for facilities at the same time. Until a few years ago, IoT was considered an exciting but niche domain in the technology space. It almost always begged the question – does one really need it at home, in office or in a factory? The answer today is most definitely yes. NASSCOM estimates that the Indian IoT market toreach $15bn by 2020, and the global market will grow by $3 trillion. Consumer and industrial applications are expected to drive IoT growth, with sectors like manufacturing, logistics, automotive and transportation expected to enable the growth of IoT in India. NASSCOM’s Center of Excellence for IoT is yet another example of developing a strong deep tech ecosystem in India, specifically in emerging technologies like IoT. Experts believe that the time is ripe for startups to tackle ground-level challenges in IoT, especially in the B2B sector. And these measures have propelled the growth of IoT-based startups in India. There are around 1,250 startups in India, most of them concentrated in Bangalore, followed by NCR and Mumbai. There has been a tenfold increase in the number of IoTstartups since 2015, largely as a result of the support from technology and manufacturing companies. The future looks bright for India’s innovators, and the support of corporates and the government alike can propel the innovation curve in India significantly. Is it a bird? Is it a plane? No, it’s a drone! 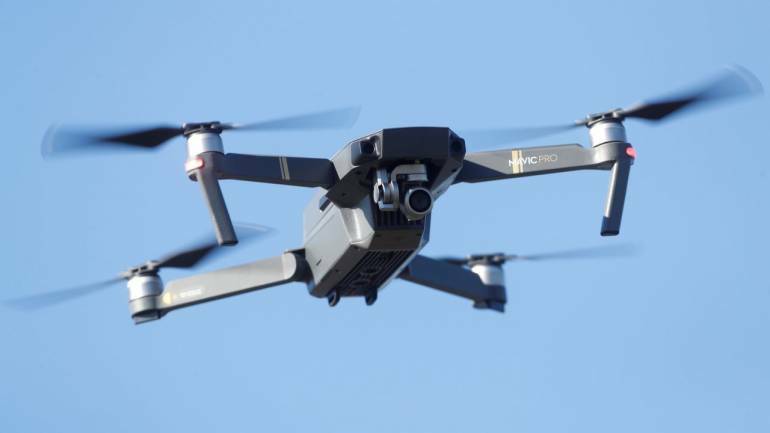 From providing gravity-defying footage of weddings, drone technologyhas moved far and well beyond recreation, and is assuming an increasingly titular role in data collection for businesses. Taking the drone revolution in India a step ahead is deep-tech drone startup Aerologiks, which is providing analytical data and useful insights through its drones using AI and machine learning. Founded by Rohan D and Parul Aghi, Aerologiks is building fully autonomous, collision-resistant and crash-proof drones for use in different sectors like drone delivery, surveillance, mapping and inspection. The team is developing self-learning drones using Artificial Intelligence and the neural network for autonomous operations. The key differentiator is to integrate AI and computer vision to automatically extract valuable 3D information from raw data, which can be collected and sent back to a computer in real time for assessment. This enables issues to be dealt quickly and efficiently, causing minimal disruption to operations. The founders believe the use of AI in drones will transform the way data I captured, analyzed and assessed, allowing industries to share real-time insights. How is this done? For instance, if there is a piece of agricultural land to be surveyed, a drone by Aerologiks can effortlessly scan the entire stretch of land by providing high-quality images through a HD Camera as well as additional data on land quality, surrounding topography, agricultural conditions, temperature and weather quality. This is extremely helpful to farmers and agricultural land developers, who can make informed decisions on farming and crop management. Aerologiks has already been working on several agriculture projects and has made a foray recently into surveillance and inspection. Recently, their technology was put to test on an arecanut plantation in India. Typically, an acre of an arecanut plantation contains 500 trees. Each tree spans a height of nearly 15 metres, and labourers have to manually spray pesticide on each tree. It would take farmers nearly two days to spray trees with pesticide on a land spanning one acre. With Aerologiks’ AI-enabled drone, this time was cut down to three hours. The drone, loaded with a pesticide container, was able to scale the height of these tall trees, spray just the required amount of pesticide – based on data computed by the drone – saving labourers the risk of exposure to chemicals and farmers unnecessary labour costs. While standalone companies continue to provide drones for commercial purposes, the industry is demanding more value from these devices. Drones with capabilities spanning technologies like AI will be the future of the industry as they enable decision-makers to make smarter, faster and data-driven decisions. AI allows machines like drones to operate independently and make their own decisions on behalf of their human controllers. The next generation of drones will be AI-powered, optimizing costs, enhancing efficiency aerial data gathering provides decision-makers a comprehensive picture of their operations. Ever since Amazon announced in 2013 that they would be experimenting with drones to make deliveries, there has been a dynamic shift in industry applications for drones. By 2017, the global drone market stood at $69bn and is expected to reach $141bn by 2023. Adding layers of advanced technologies is expected to add tremendous value to drone technology in business today. This year, more traction can be expected in this area as companies worldover are actively seeking to combine RGB, thermal imaging, and IoT-driven data from sensors. More aerial imaging and mapping software firms will announce AI-driven capabilities too. In India, drone-based applications are being used extensively across industries such as agriculture, energy, infrastructure, mining, media and insurance. Now, with a new policy in place, India’s drone industry is truly ready for flight. This policy is specifically expected to open up the country’s B2B market, opening up the scope of innovation for drone companies like Aerologiks. While policies and regulations are expected to take their own recourse, the drone industry has been expanding its capabilities far and wide. In the past few years, the growth of consumer and commercial drones has grown significantly due to the rapid development of radio communication and smartphone penetration, and has led to improved methods of data capture, amplified by enhanced computing abilities. And going by industry standards, data analytics will form the core of future drone technology. Innovation in medicine is impossible without research, and clinical trials assume a major part of sustained medical research. They are a critical step forward for new inventions to take place in medicines, medical devices, nutraceuticals and cosmeceuticals to the public. With a 35% market share, USA has retained its position as one of the top destinations for clinical trials. As of 2015, India had 859 registered trials, but by November 2018, this number shot up to 3869. Ongoing efforts of medical research organizations, hospitals and government bodies in India have significantly pushed clinical trial figures up. Recently, new rules have been createdfor the purpose of regulating clinical trials, and are expected to soon come into effect. Clearly India is on its way to establish its forte as a hub for quality, high-standard medical research in addition to being one of the high volume healthcare markets in the world. But in order to achieve these standards, several institutional challenges need to be addressed by hospitals, medical research organizations and enterprises in the Lifesciences/Healthcare sector. 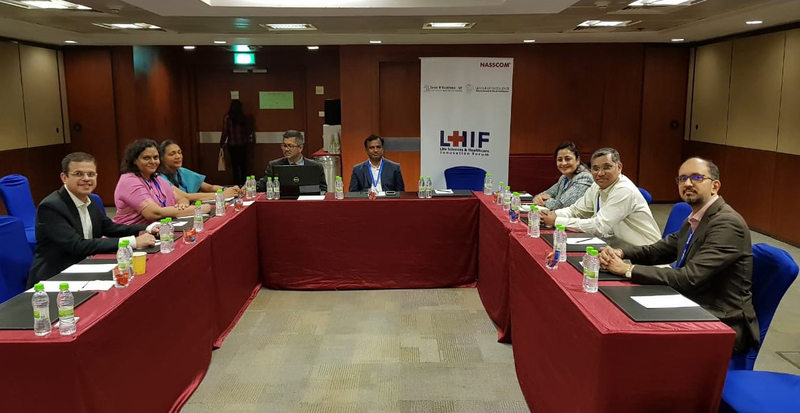 At the recently concluded BioAsia 2019 conference in Hyderabad, NASSCOM CoE IoT’s flagship initiative LHIF (Lifesciences & Healthcare Forum) spearheaded a roundtable on 26th February 2019, to explore the challenges & opportunities in conducting clinical trials in India, and how technology adoption is viewed and supported by the regulatory. Clinical Trials constitute a significant step in the path to deliver innovations in medicines, medical devices, nutraceuticals and cosmeceuticals to the public. With the global clinical trials market growing at an approximate 6% CAGR, the Indian Clinical Trials market can be expected to gain substantially. Subject safety and data integrity being the primary objective, policies and guidelines are becoming more and more stringent and comprehensive from the Regulatory perspective. Rapid changes in technology and improvised systems/devices are playing a key role in enhancing the conduct of clinical trials. This Round Table session was organized as part of the BioAsia19 Conference held at Hyderabad, to explore the challenges and opportunities in conducting clinical trials in India (both for local and global Sponsors) and how technology adoption is viewed and supported by regulatory authorities. Patient safety and data integrity remain the primary focus of Regulatory authorities. Regulatory authorities focus on stringent adherence to the Informed Consent Process and adequate safety reporting mechanisms. Besides supervising the conduct of clinical trials, Regulatory authorities also engage with various stakeholders representing patients, industry and investigators, including the Indian Council for Medical Research (ICMR) and the Indian Society for Clinical Research (ISCR) towards drafting and updating clinical trial regulations. While the Public and the NGO Groups expect stringent measures and well-defined trial guidelines, Industry also understands the importance of well-defined clinical trial guidelines and seeks a balanced regulatory environment. The Regulators aim to create a balanced, predictable and transparent environment conducive to clinical research, both industry-sponsored and academic, while at the same time ensuring strict adherence to the principles of patient safety and data integrity. Principal Investigators (PIs) are responsible for actuallyexecutingtrialsat sites as per the approved protocol. Though Sponsors and CROs ensure that PIs and site staff are trained on ICH-GCP and applicable clinical trial regulations, there is an urgent need to expand this pool of physicians who are trained in fundamentals of clinical research. This could entail integration of knowledge of clinical research into the medical undergraduate and post graduate curriculum. This will encourage more physicians getting interested in clinical research during their medical training. In many other countries (eg. US, Europe), physicians focus on research as an integral part of their professional growth and in addition to industry-sponsored research, are actively involved in academic research that has a major impact on healthcare decisions. It is important to encourage a research environment in India that boosts investigator-initiated research. Incentives for the medical fraternity to undertake additional research are limited considering the pressing demand to meet increasing patient care requirements. Physicians need to understand the importance of research initiatives that could be undertaken with the huge amount of data available with their institutions and how this research can help improvise their healthcare delivery. The Round Table is of the opinion that National Medical Councils should aim at integrating research into medical curriculum and ensure adequate allocation of time towards research as part of continuous medical education. Most clinical trials use electronic data capture at sites and it is envisaged that electronic tools will be increasingly used for document management at sites as well in the future. Even though initial trainings are conducted for site staff by Sponsors/CROs during site initiation, resource turnover at sites needs to be considered to plan and ensure continued training. Another perspective from the Round Table participants is thatat a given site, site staff may need to use multiple systems from multiple CROs for multiple studies, which could be another challenge. A pool of trained tech-savvy clinical research co-ordinators at site can overcome these challenges. Sponsors and CROs will need to continue focus on training study sites on use of electronic systems for clinical trial data capture and clinical trial document management. Regulators will focus on review of data generated on Indian subjects (pre or post marketing) to ensure subject safety. Subject recruitment could be an important challenge, especially due to lack of electronic databases at many hospitals. Electronic health records at sites would be very helpful for investigators to help identify potential subjects for clinical trials from their database, thus overcoming recruitment challenges. EHR systems across various hospitals may not be uniform. Hospitals need to be encouraged to transition from paper records to EHR since this would have a positive impact on patient recruitment in clinical trials. CDSCO suggested that institutions like NASSCOM should spearhead the standardization of EHR systems across the country with support from government agencies such as NeHA and C-DAC and also some of the private institutions working in this space. Subject safety is of paramount interest for the Regulatory authorities.Mechanisms need to be in place to prevent cross participation of subjects in healthy volunteer studies across the country. CDSCO is formulating a plan to build a nation-wide registry for healthy volunteers participating in BA/BE studies with the objective of preventing cross-participation and enhancing patient safety. The modalities for technical architecture for a suitable solution and associated commercial implications for CROs/Sponsors are being worked upon.Using such a registry to capture AEs/ SAEs of subjects participating in healthy volunteer studies would be an additional advantage. Technological advances in IoT and AI are changing the way Clinical Trials are conducted. While the basic data collection through eCRF remains the main objective during the study conduct, technology can play a significant role in the data collection methods, ease of data collection and enhancing quality of data. Use of ePRO is increasing in clinical trials, with the advantages of real time data collection on patient outcomes, including compliance and adverse event reporting. System integration challenges must be considered while implementing ePRO. Technology can also play a role in monitoring subjects who are lost-to-follow-up.It is important both for Sponsors and regulators to understand the exact cause of drop-outs, including safety reasons, if any. Using Technology solutions, Sponsors/CROs can analyze this data and arrive at algorithms to predict/ prevent frequent drop-outs, resulting in cost and timeline efficiencies and ensuring subject safety. Using Artificial Intelligence and Machine Learning algorithms, clinical trial management systems should be able to predict the success of the trial early-on into the study, using the data already collected. It is better to ‘Fail-Fast’ than ‘Fail-Later’. As part of the CDSCO e-governance initiative, electronic submission of clinical trial applications has been facilitated by the SUGAM portal that has now also been expanded to the state level. The current regulatory focus will be on upgrading the portal, including a plan for electronic reporting of SAEs. Industry expressed the challenge of maintaining huge volumes of paper-based source data and printed paper submission for product approvals. Currently, review is based on study reports and other documents with raw data requested as required. Regulatory feels that the review of electronic submissions can be explored in the future, if standardized software is available. Jewellery is something that almost every woman loves to wear, but how about a pretty trinket that is cleverly masqueraded as a health tracking device? Entrepreneur Senthilkumar realized this was the most effective way to constantly monitor the health of pregnant women in rural areas, where access to basic healthcare is hard to come by. His innovative bracelets and necklaces come embedded with minute IoT sensors, which constantly monitor and track a pregnant woman’s vitals. Combining aesthetics with technology is Senthilkumar’s med-tech startup JioVio Healthcare, which is heavily reliant on IoT and data analytics to monitor health parameters of pregnant women, new mothers, elderly and children. Maternal healthcare in rural India has never thrown up impressive numbers in the past, but technology is now reaching the remote corners of India to aid young women who require prenatal and antenatal care constantly. Research revealed to Kumar that pregnant women in India, especially in rural areas, fail to monitor the various health parameters necessary for their well-being during pregnancy. This could be attributed to a variety of factors such as lack of adequate healthcare centres in rural India and awareness surrounding the need for regular prenatal check-ups among other factors. Moreover, gender biases too play a role in restricting women and children from seeking timely healthcare. Using technology to address societal and cultural constraints, Kumar and his team conceptualized portable healthcare kits called SaveMom that constantly monitor the health of women in a non-invasive manner. 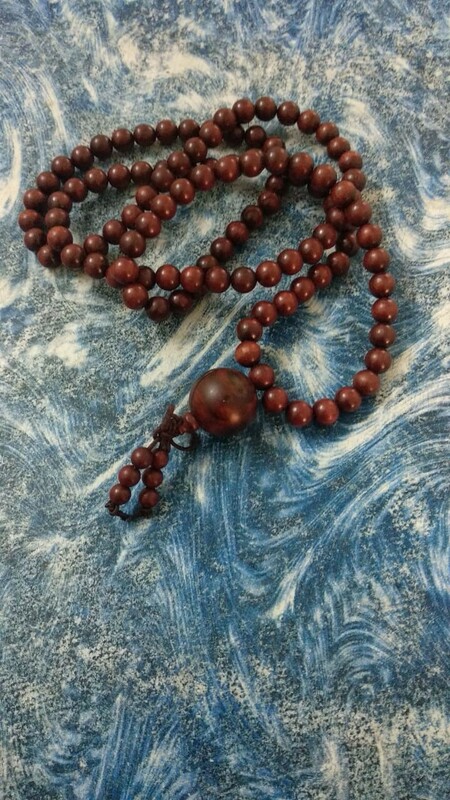 One such device was a bracelet or necklace with colourful beads, which IoT-enabled contains sensors designed to track a number of activities such as number of steps taken, calories burnt and sleeping patterns. Based on the constant patient input, the sensors send the patient data to a device that provides reminders to the women to take their prenatal supplements, eat their food on time and drink suffidxcient water. The device connects to the user’s phone via Bluetooth and transfers patient data to the cloud. 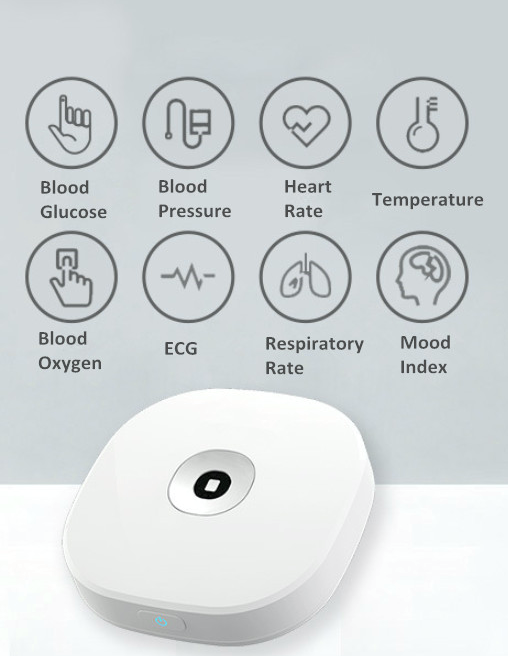 Another device in the AlloMom kit is a smart tablet, given to healthcare workers, which check parameters like blood pressure, glucose levels, body weight, temperature, pulse rate and blood oxygen saturation and automatically upload this data on a cloud. Through software developed by Kumar and his team, the patient data would be constantly monitored using AI, making it easier to segregate women based on their risk levels. If a woman was detected as high risk, her data would immediately be sent to the nearest healthcare centre where she would be called in for a check-up. Now, there are a suite of other products made by JioVio Healthcare, which are intended to track vital information of infants and elderly, especially in rural areas. Similar to SaveMom is AlloMom, a combination of a mobile app that sends a constant feed of a pregnant woman’s vital information to her primary caretaker, and a portable kit including a sensor-enabled wearable device that feeds real-time information about the mother into a cloud. AlloBaby, meant to track infant development, observes a child’s underlying development for 1000 days including speech, movement, and other important infant milestones. While infant and child care is an overlooked aspect of the healthcare spectrum in rural India, so is geriatric care. Kumar launched AlloOldCare, which monitors vital parameters of the elderly. It comprises of a wearable gadget with sensors that tracks activities like sleeping, physical activity, food intake, blood pressure and other aspects, and feeds the data into a portable application. Allo Old Care also sends specialists to the elderly person’s home when needed and provides for easy prescription and refill of medicines through the app. With a billion-strong population, India needs quality healthcare services in every corner of the country. While Tier 1 cities have a multitude of options to choose from, Tier 2 and 3 towns and villages unfortunately lack access to quality healthcare. Moreover, rising costs of healthcare and poor infrastructure has paved the way for technology to fill gaps in healthcare delivery. What will really propel the quality of healthcare solutions by enabling a further, wider reach is the use of technologies like AI and IoT. One of the most impactful healthcare trends of 2019 is the growth of home healthcare facilities, being made popular by health tech startups that are conceptualising smart wearables and portable healthcare kits. Wearables, powered by IoT, are extending the healthcare continuum from fitness & activity tracking to managing chronic conditions like diabetes and cardiac health. According to Tractica’s Wearable Device Market Forecasts report, wearable device shipments can scale to 430 million by 2022. In addition, AI is playing a hugely transformational role in harnessing, synthesising and processing patient data to extract meaningful insights, and further enrich the healthcare industry’s knowledge base. JioVio Healthcare was initiated into NASSCOM’s Center of Excellence for IoT in Bangalore in February 2017. 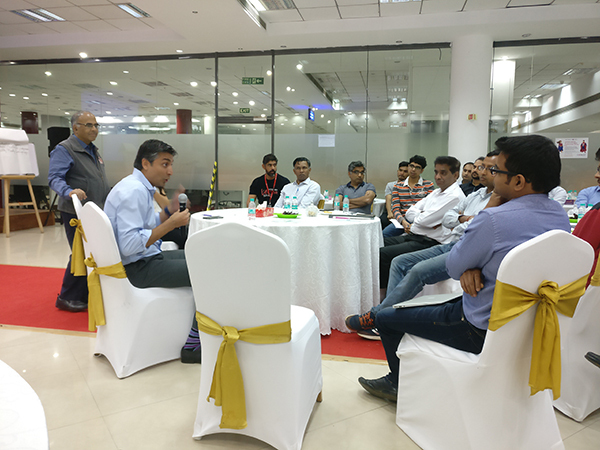 Working out of the Center of Excellence was hugely beneficial to Senthilkumar and his team, as they got more recognition from the community of product startups, investors and innovators. Moreover, NASSCOM’s extensive network of industry connections helped them gain access to quality industry events and happenings within the startup community.